Thank God we still have Paul Volcker out there throwing out a few straight comments from time to time. In an era when the likes of Tim Geithner can speak volumes and put themselves on record on both sides of every issue, it’s refreshing to see the great man speak his mind. Today, some comments from a coming interview with Charlie Rose have been showing up in the blogosphere. Among them, Volcker suggests that it’s time to look at either a carbon tax or VAT to solve the long term problem with deficits. He says that he would prefer to see spending reduced but I suspect he’s been around far too long to believe that will occur. On banks, Volcker is in the bring back Glass Steagall camp. His thesis is that we insure banks deposits in order for them to make loans to credit worthy borrowers, not to take outsized risks in proprietary trading. He also admits that his view has zero support within the administration. I’ve posted on taxes before. It is a foregone conclusion that the government is operating on a revenue base that will be insufficient to fund both the current level of expenditures and the prospective level that is going to result from the more activist and interventionist bent of the Obama administration. The income tax cannot be stretched to the extent necessary to fund the increasing requirements of government. Of the two alternatives suggested by Volcker, I find the carbon tax more appealing. It can be a big revenue producer and it’s relatively transparent in a way that a VAT is not. The VAT is beloved by politicians simply because it can be broken down throughout the chain of production disguising the overall impact of the tax. The carbon tax, on the other hand, is out there for all to see and the impact on the taxpayer is readily apparent. For this reason alone I think that the VAT is very much going to become a reality in a second Obama term. Volcker is right on Glass Steagall, bank risks and misallocation of FDIC insurance. It was never intended to insure against failure from investment banking activities yet that activity was at the root of the near meltdown of the big banks. Nevertheless, the big banks wield formidable power and the political class is apparently unwilling to make any stand. Any sort of meaningful reregulation of the industry is quickly going by the board and if the numbers are to be believed, the banks are taking on risk at a pace that rivals if not exceeds the bubble years. It may be years or decades before another crisis of this magnitude reappears or it might be just around the corner. There is no way of knowing when it will recur but this much we can know. A chance to reform the industry and limit the damage in the future is quickly passing if not already gone. The next time we might not be so lucky and may well find the damage much more intense and costly. 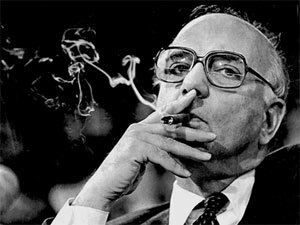 I suspect that by that time, Mr. Volcker will no longer be with us but I hope that a few remember his advise and have the courage to act that is sorely missing now. Radian: What Are You Still Doing Here?